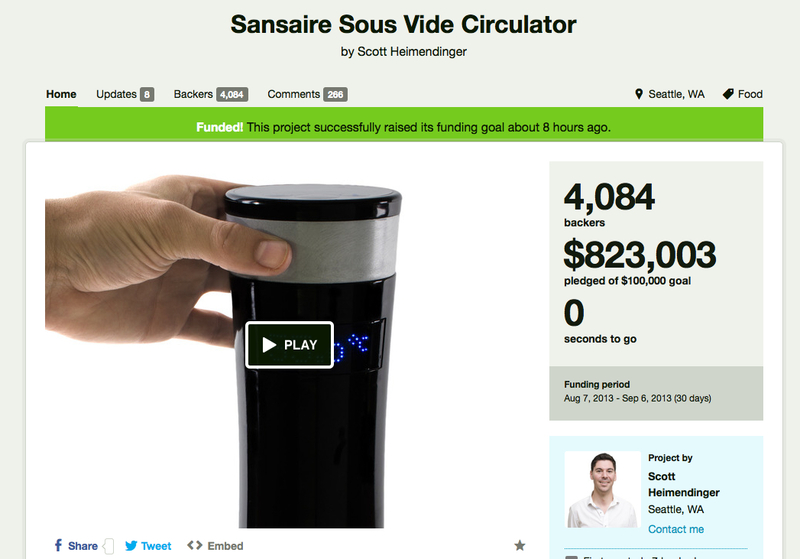 Scott’s vision to introduce the world to the wonders of sous vide cooking took a huge step this morning when the Sansaire Kickstarter closed this morning with 4084 backers contributing over $823,000 dollars. It is now the most funded food Kickstarter ever. If you missed out on the Kickstarter, you can pre-order units at the Sansaire website. 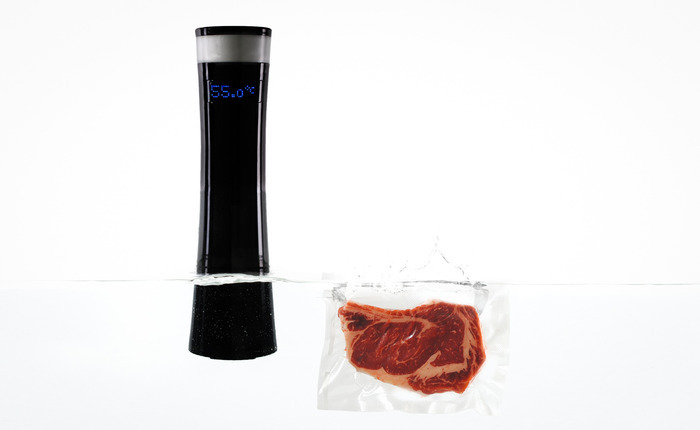 A big congrats to the Sansaire team – we’re looking forward to heating up perfect eggs and tender steaks. In the meantime, just one thing comes to mind: BOOM.